Probably the clearest water in the world. Thanks to Gisli Arnar Gudmundsson who is the diver in this scene. Probably the best freshwater visibility in the world! Iceland lies on the mid-atlantic rift. To the west lies the north American tectonic plate and to the east lies the Eurasian tectonic plate. 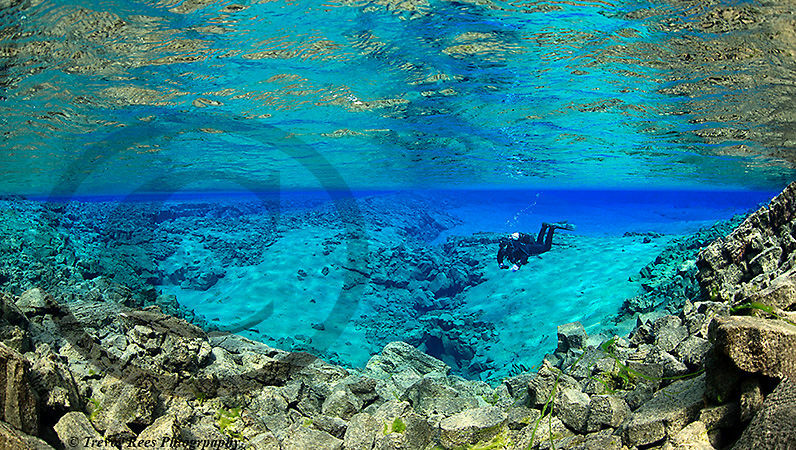 The Silfra crack dive site is in this stressed part of the earths crust, located in the Thingvellir National park.